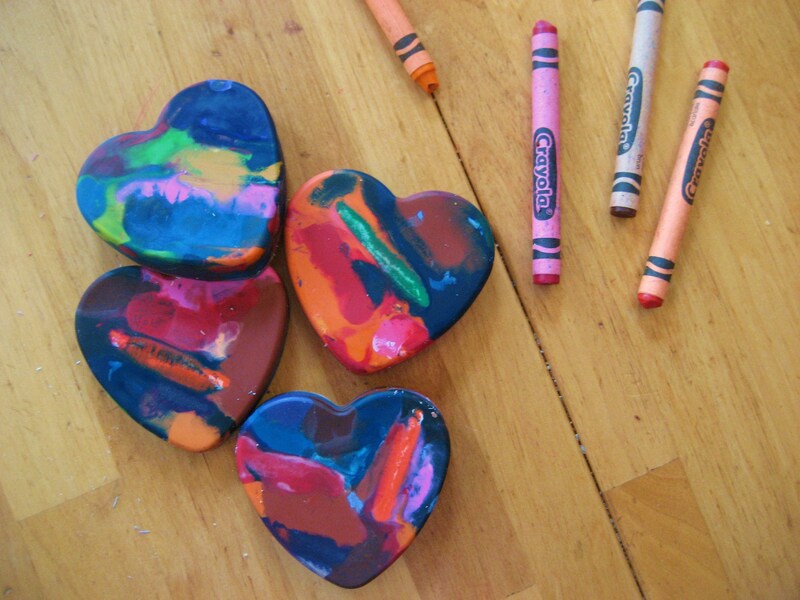 Rescue all your broken crayon pieces and turn them into a handy crayon block. It’s easy. Recycle them by putting all the broken pieces (with wrappers removed) into a silicone baking pan – preferably one that is a cute shape. 🙂 Bake on 200 degrees for 15 minutes or until melted. Let it cool completely and then pry out of the pan. It helps to make it fairly thick so that it doesn’t break when you take it out. 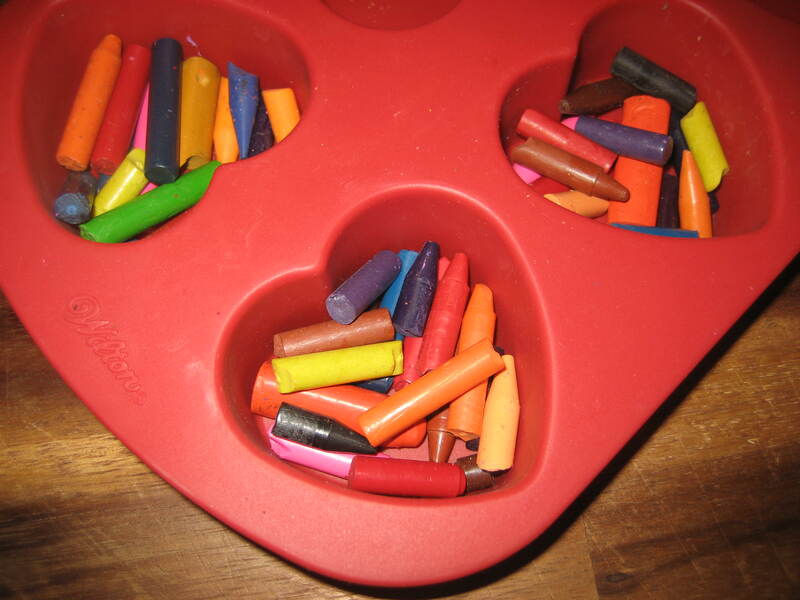 By the end you will have a nice crayon block that is good for travel and tiny hands. Color away! 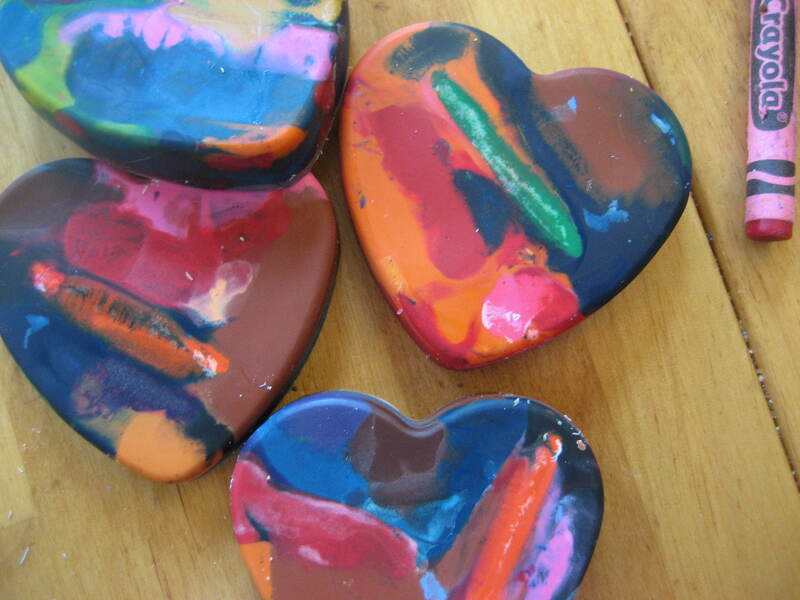 This entry was posted in Activities, Homemade Products, Kids, Toys. Bookmark the permalink. ← There’s new cast iron in my kitchen! So cool! We are doing this right now!